Most school buses arrive to take students to class – but this bus brings the class to the students. This refurbished bus is equipped with all the resources, equipment, supplies, and facilities needed to allow 5,000 kids and adults to pursue higher education without having to worry about consistently attending a school campus. 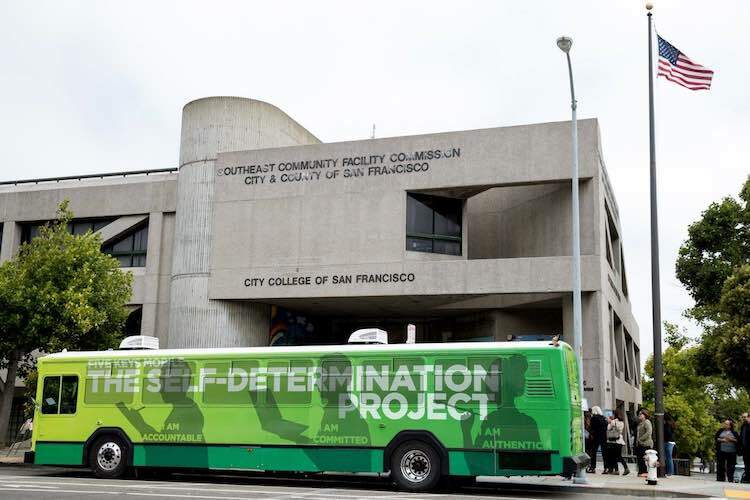 The Self-Determination Project bus, which was launched by the Five Keys Charter School in 2017, travels through some of the poorest neighborhoods and housing projects of San Francisco so it can offer its mobile classroom to disadvantaged residents – particularly single parents, students who don’t have access to transportation, and youngsters who are afraid to cross gang territories. The bus is equipped with a library, Chromebooks, internet access, desks, study nooks, and a teacher – and all of it is available to students for free and anyone can start learning as soon as they sign up. The nonprofit school was originally created in 2003 as a means of offering education to inmates in California jails and ending the repetitive “catch and release” system of incarceration. Since its inception, the first-of-its-kind jail-based school has rapidly expanded to 70 additional partner sites. More than 5,000 students are currently enrolled with Five Keys so they can finally earn their high school degree – and many of them will later go on to pursue higher education and employment. Not only that, the recidivism rate for ex-convicts who became Five Keys students currently stands at 26% – which is 39% less than the state’s average of 65%.